As part of the ongoing Bonjour India - incubating dreams, ideas and projects which aim to move the partnership between India and France into the future, 5 key cities in India will see the launch of Hakanaï. This unique project has been choreographed and conceptualized by the Adrien M & Claire B Company. It brings together art & technology, highlighting transversal collaborations for new creation & new media in India. To conclude the project, they will be heading to Kolkata in the following week. It is created by the French Institute in India, with the support of Attakkalari Centre for Movement Arts and the Alliance Française network in the respective cities, and is produced by Seher. A French dancer, Virginie Barjonet, has been training an Indian dancer, Priyabrata Panigrahi, to dance in a virtual environment. Priyabrata is a trained contemporary dancer, choreographer and performing artist from Bangalore. He started his formal dance training in 2011 with a diploma in movement arts and mix media course at the Attakkalri Centre for Movement Arts and has also got intensive training in Kalary Payat, Bharattnatyam, Contemporary dance, Ballet, Pilates, Flying low and Light design. The choreographic career of Virginie Barjonet is made of intertwining dance, theatre and air practices that are seen in particular in the circus arts. 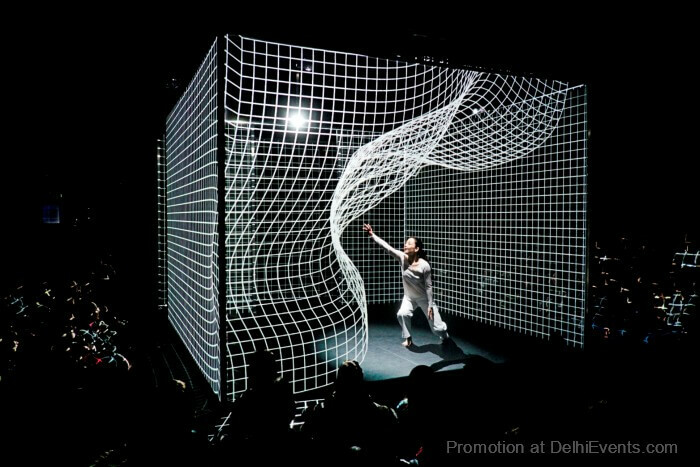 After a training session to transmit the capacity to interact with a digitally created environment, the two dancers will criss-cross India to showcase this innovative performance to Indian spectators in 5 cities. The company Adrien M & Claire B has been working in the field of digital arts since 2004. Its creations are performances and exhibitions, that associate reality and virtuality. Its specificity is the custom-made development of its computing tools. Among the artistic and technological stakes, the attention is focused on the human being and its body, by using contemporary tools in the service of a timeless poetry, developing and using a visual language based on game and pleasure as mediums of the imagination.